1. Pallet design to dispense various of products. 2. 2 tiers with large space per tier to showcase or storage products..
3. Shipped flat and easy to set up. 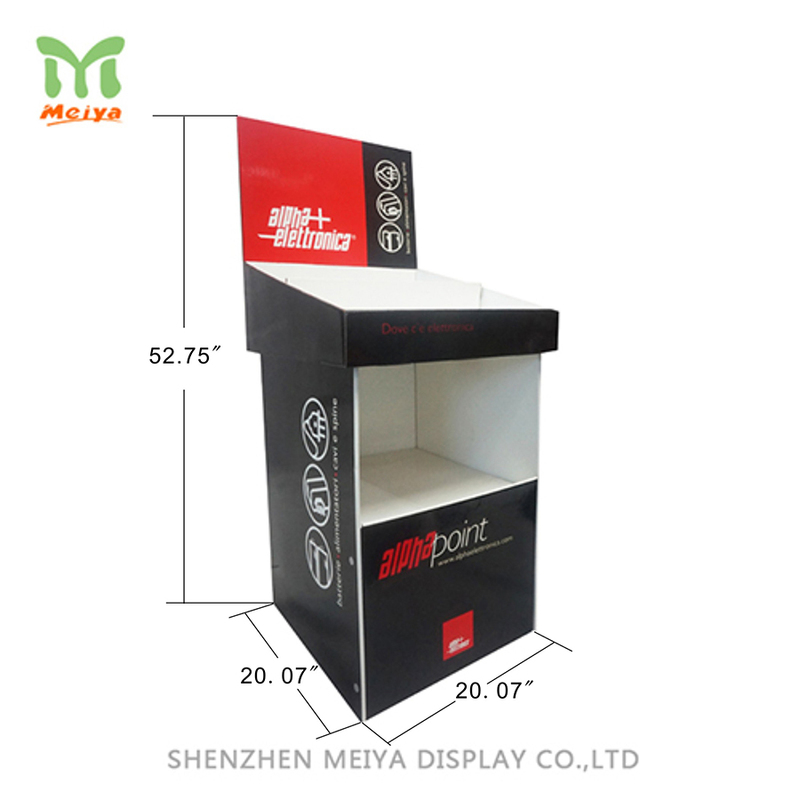 These kind of cardboard bin or floor standing cardboard displays can be designed with removable head card so that users can create new graphic to replace the products advertisement. That is a great way to save cost on advertising meanwhile take products into an fresh image. To push the purchse at last minutes, come with Meiya Display.